What is it like to be a religious brother? Boston, Mass., Nov 9, 2017 / 05:57 am (CNA/EWTN News).- When Brother Jim Peterson, OFM Cap., was in middle school and high school, he felt like every time someone prayed for vocations, they were praying for him. “It was always kind of like, they’re talking about me,” he told CNA. That was his first inclination that he had a religious vocation, though at first, he assumed he was being called to be a priest. Although the call was always somewhere in his heart, Peterson said that he finished high school, and then college, and was struggling to find a job when he wondered if he should answer that call. “But at the same time, I wasn’t sure if it was just me running away from something, so I decided to see if I could make my way in the world before making a decision like that,” he said. It wasn’t until he finished law school, and worked for a few years as a lawyer in Pennsylvania, that he decided he couldn’t ignore God anymore. Today, Peterson is a Capuchin brother with the Capuchin Franciscans of the St. Mary Province, which encompasses New England and New York. He spoke with CNA about the vocation of a religious brother during Vocations Awareness Week, an annual week-long celebration sponsored by the United States bishops’ conference, dedicated to promoting vocations to the priesthood, diaconate and consecrated life through prayer and education. It was during his time in law school and as a lawyer that he really wrestled with his faith, and what God could be asking of him, Peterson said. Working as a lawyer, he had several “a-ha” moments that made him realize he might be called to a different life. “One moment was when…I was given the task of evicting somebody from a piece of property that one of our clients owned. And so I got a phone call from the guy I had to evict and he said, ‘Don’t worry, you don’t have to go to court. I’m leaving, you can have your property back’,” he recalled. “I realized then that there are a million lawyers in the country, anybody can take my place, but not everybody could respond to the call that the Lord has put before them,” he said. Peterson decided to talk to a priest who was a good friend of his family, and who also happened to be a Capuchin friar, about this call he had been experiencing. They met and talked for two hours about the life of Capuchin friars, and afterwards, Peterson decided to attend a vocation retreat the next month, where he got to see the life of the friars firsthand. “At the beginning of the weekend I was like this is crazy, what am I doing here,” he said. Peterson said that over the years, the call from God had evolved from what he thought was a call to the priesthood into a call to be a Capuchin brother. 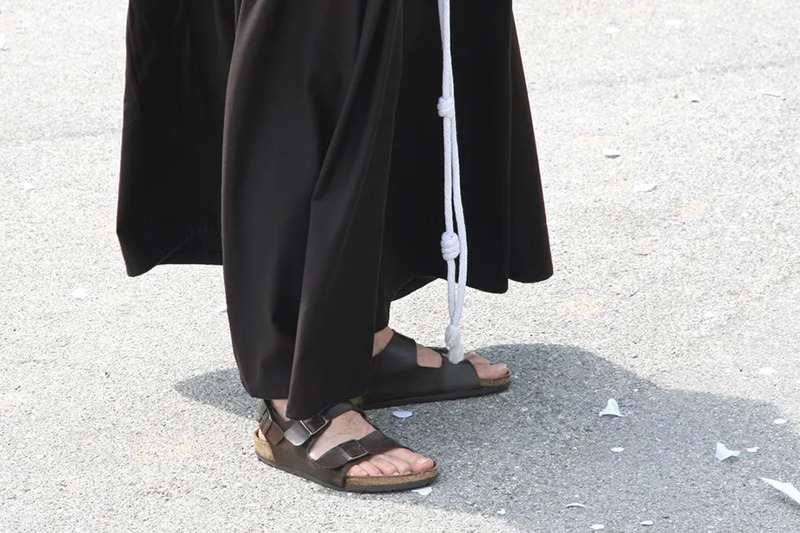 Part of the reason for this, he said, was that he felt that he was also called to continue being a lawyer, and Capuchin friars often continuing working in the fields in which they were working before they joined the order. “In the Franciscan world, when St. Francis started the order, you did what you did before, you just did it now as a religious,” Peterson said. “So the priests who were already priests were now Franciscan priests, and the carpenters who came in were now Franciscan carpenters…so now I’m a Franciscan lawyer,” he said. “I don’t feel called, and frankly my gifts don’t mesh well, with presiding at the sacraments, so while I love the sacraments, I love participating in them, I don’t feel called to lead them. But at the same time I do feel called to the Capuchin Franciscan life, the life of a brother,” he added. One of the main components of being part of a religious order is living in community, Peterson said, which can be both a challenge and a grace. “You’re living with people that you don’t get to choose, so you’re talking about different generations of folks, different interests, and the little things like people leaving crumbs behind and not picking up after themselves – things that I think any family struggles with,” he said. “And so it has its challenges, but there’s also some really neat things,” he said, like the rivalry between the Yankees fans and the Red Sox fans within his own community. Another gift of community life is the universality of the community – there are about 11,000 Capuchin friars all over the world. Together, the community shares common prayer times, including Mass and meditation, in the morning. During the day, each brother serves in his particular ministry, which might take place outside of the friary, as is the case for Peterson, who works as a canon lawyer for the Archdiocese of Boston. Other brothers serve within the order, either in forming younger friars or other ministries. In the evening, the brothers return home and again have dinner and additional prayer time together. “Priests are a little bit more independent, they don’t have to live common life, they don’t take the three vows that a religious takes of poverty, chastity and obedience. They promise obedience to their bishop, but they don’t take vows of poverty. They are called to perfect continence but they don’t vow that, although it is one of their obligations,” he said. “A lot of people will ask me why aren’t you a priest? You’re smart enough, and so on,” Peterson said. Ultimately, he said, it comes down to the call from the Lord, who knows what will make each person happy. 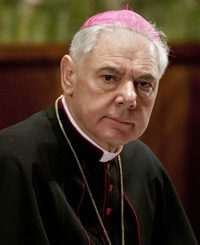 Peterson said that if he could advise other young people discerning religious life, he would tell them to take their time. “I think too often we accept people who aren’t ready – they’re either too young or they’re not mature enough yet or they haven’t found their way in life,” Peterson said. He encouraged young discerners to learn how to be independent, in order to better learn how to be interdependent within a community. Furthermore, he said, maturity and independence are important in order for new members of a community to be able to contribute to the community. He also encouraged anyone discerning to attend vocation weekends, or to read more about the saint or the charism in which they’re interested, to see if it is a good fit for them. “Once I started reading about St. Francis, it was clear to me that this was the guy I wanted to follow, he understood what religious life was about and was following what Christ was about,” he said. Ultimately, though, he said he would offer encouragement to those discerning, because following God’s call is the key to happiness in life. “That’s not to say that there won’t be challenges, it’s definitely not going to be easy, but I don’t think the Lord would call us to something where you’d be unhappy,” he said. He said the life of a brother has been a pleasant surprise, in terms of the freedom he has experienced in what he thought would be a more limited way of life. “Being a celibate, you have much more freedom to interact with a wide variety of folks, you don’t have that one person that you’re tied to, and as a result, I’m able to be with a lot of different people, and I’ve met some amazing people along the way,” he said. Washington D.C., Jun 27, 2018 / 11:51 am (CNA/EWTN News).- The U.S. Conference of Catholic Bishops has expressed disappointment with a Supreme Court ruling upholding President Donald Trump’s travel ban, which prohibits nationals from several countries from entering the U.S.
“The travel ban targets Muslims for exclusion, which goes against our country’s core principle of neutrality when it comes to people of faith,” said the statement, issued by Bishop Joe Vásquez of Austin, who chairs the U.S. bishops’ migration committee, and Archbishop Joseph Kurtz of Louisville, who chairs the religious freedom committee. “We are disappointed in the Court’s ruling because it failed to take into account the clear and unlawful targeting of a specific religious group by the government,” continued the statement. On Tuesday, the Supreme Court voted 5-4 to uphold the ban. Chief Justice John Roberts authored the majority opinion in Trump v. Hawaii, which fell along ideological lines. The Court found that President Donald Trump was acting within the limits of his authority when he announced a travel ban on nationals from seven countries. The policy prohibits entry into the U.S. of most nationals from five majority-Muslim countries: Libya, Syria, Iran, Yemen, and Somalia. 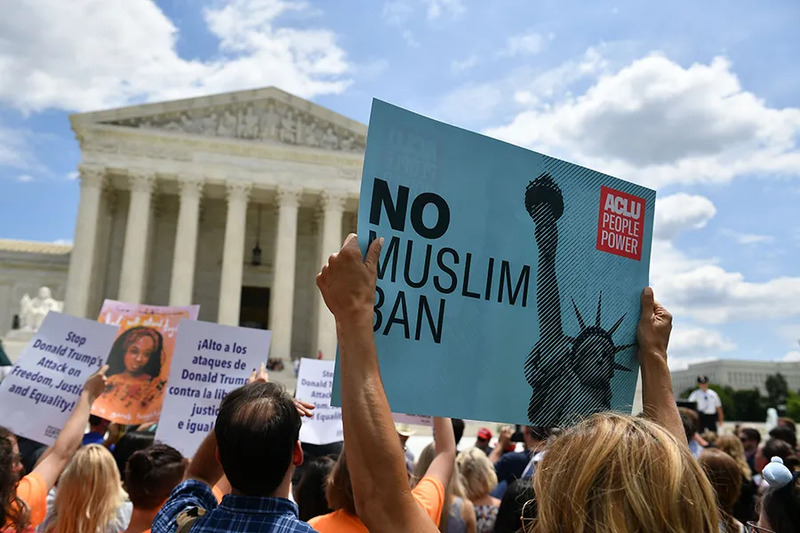 A change to the policy, enacted a few weeks before the Supreme Court was to hear the challenge to the ban, also prohibits entrance of nationals from North Korea, and to certain government officials from Venezuela and their immediate families. The U.S. bishops’ conference, along with Catholic Charities USA and the Catholic Legal Immigration Network, Inc. (CLINIC), had filed a friend-of-the-court brief in opposition to the travel ban. The groups argued that the ban was a violation of the free exercise clause of the First Amendment. Trump, however, has emphasized the decision as necessary to protect Americans against terrorism and other violence.